Know the email address of a missing Employee? Click here to contact them! 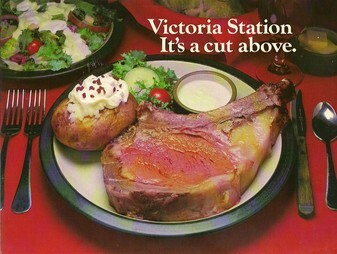 Welcome to the Victoria Station Restaurants Reunion web site, the site for anyone who ever worked for VS. This site is a virtual reunion that allows you to share memories and get in touch with old friends. It’s brand new so there are few contacts but you can help by passing the link along to any VS alums you know. First, this is all free and involves no advertising. To use the site’s features, you need to join by completing your profile. If your name is on the Profiles list, click on your name and use the “Join Here” feature. As part of your profile, you can upload photos. If your name isn’t on the list, click on the Contact Us link and send me your name. I’ll add you to the list and you’ll be able to complete your new profile. After you join, you can send emails to other members, participate in the message forum, and send in photos or memorabilia for the shared pages. If you have any questions, comments, or suggestions, please use the Contact Us link. By the way, contrary to what some search engines are saying, this is not an "official" site. Had quite a large turnout at the Quinn's & VS of Portland in April. Guests came from Phoenix, Seattle, Denver, and other parts of Oregon. For me it was quite a thrill to see so many faces from the 70's. Not sure, but the last remaining intact Victoria Station restaurant with all of its railcars may be the one in Roseville CA. It is now names as "The Station" and is a dance club and restaurannt. I confirmed with the management that it is indeed was a Victoria Station. But check out the below link and see for yourself. If you live near there go check it out and let us know what you think. If you happen not know if there is anyother standings stations with the railroad theme, please let us know!